Back in March of this year, we told you about a folk style zombie album by Aaron Stoquert called, “Run for Your Life" (link.) Well, here we are a few months later and we’re serving up another helping of soul food. Let me introduce to you, the musical styling of Chris Kiehne and his album Pray for Daylight. This hauntingly upbeat EP contains a wonderful mix of sounds akin to those of musical greats like Van Morrison, Tom Waits, and Bob Dylan; whom the artist has drawn inspiration from. Chris told us that he tuned his sound after the three of these artists because, “all three know how to write a damn good melody.” Let me add in here, that Mr. Kiehne doesn’t do a half bad job himself. I’m proud of it. I’ve always felt that the particular element of zombie films that really elevates the sub-genre is that first moment of transfiguration, where a character first ceases to be him/herself and commences being something other. It’s a really profound moment, in my mind, insofar as it represents the simultaneous presence of polar opposites, which is otherwise a practical impossibility. You’re standing there, watching your wife rise up from a pile of dirt, and she is right then two opposing things: she is both her and not her, alive and dead. She doesn't stop being herself just because she isn't herself: you're looking at her. You can see her. It's her, it's your wife. It’s a debilitating situation and demands really devastating moral decisions . . . So the album is about, basically, trying to survive a zombie epidemic and protect your lover when you know full well that she’s already been bitten. The best part about the album isn’t even that it’s free, which it is if you go here. After you download, you’ll wanna give a listen to Sister Black Maria and Basket of Bone, which are probably my favorite two tracks. As far as presenting the horror subtheme in his music, Chris credits films such as Return of the Living Dead and Cemetery man. His dystopia has also been brightened a little by Shaun of the Dead. “That's the overall best damn zombie movie ever made,” he told me. 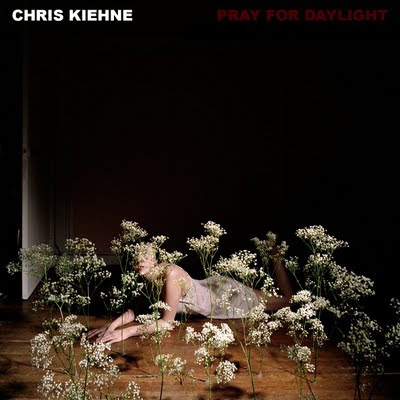 Head on over and take a stroll through Chris’ nightmares by following the link he’s so generously provided and taking hold of your very own digital copy of Pray for Daylight. Free album! I am all over that! !